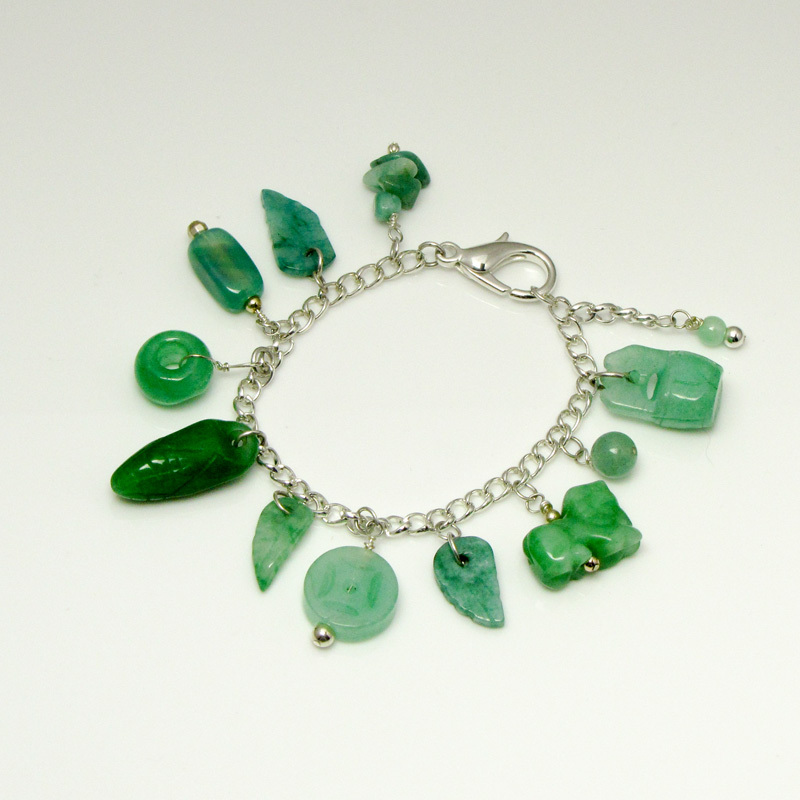 Charms Of The Orient is a chain bracelet filled with roughly carved green jade charms. 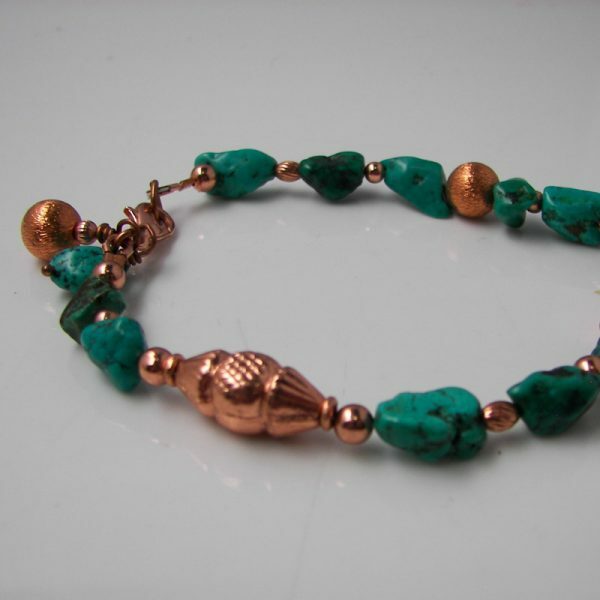 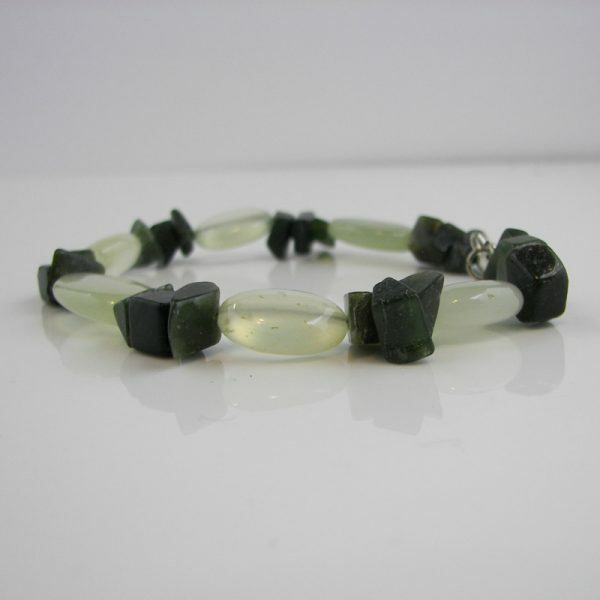 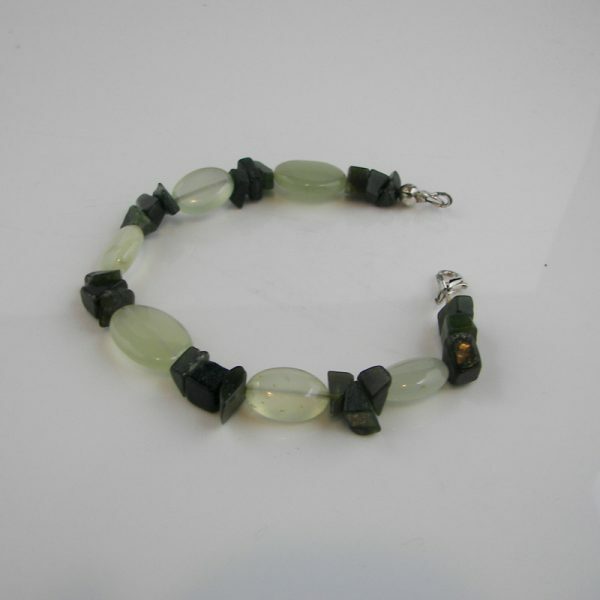 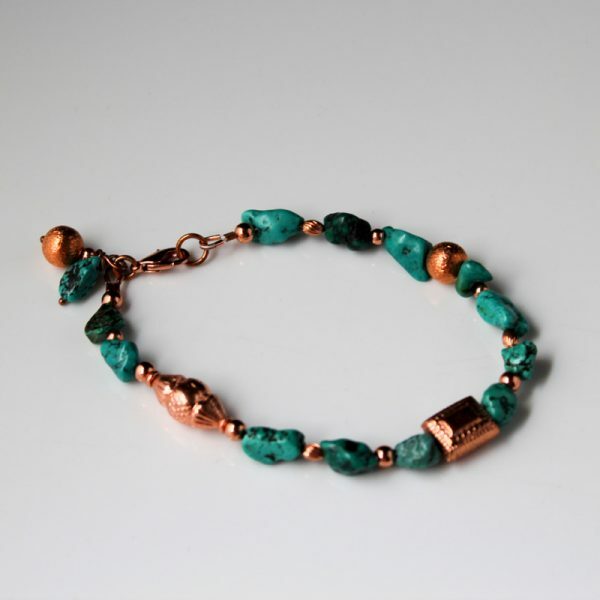 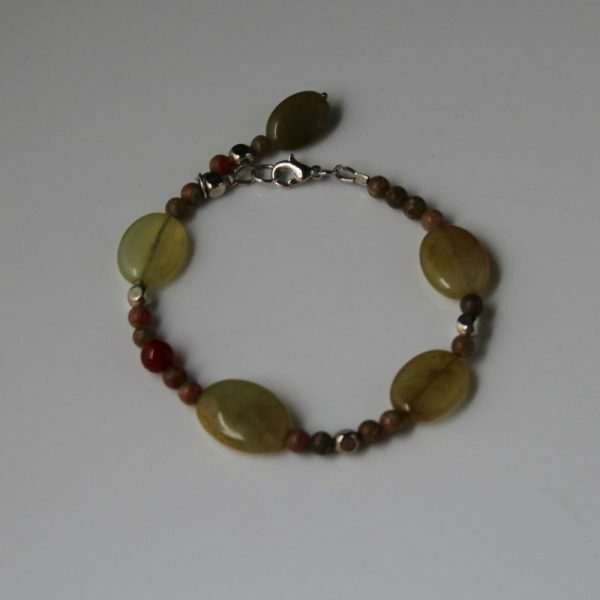 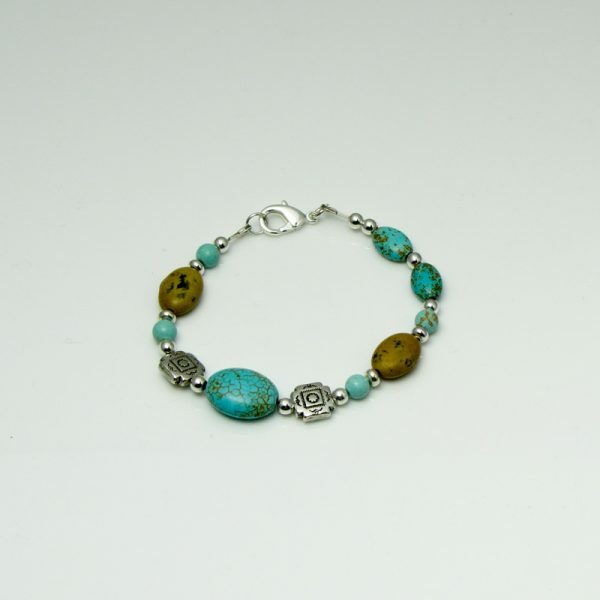 Charms Of The Orient is a chain bracelet with green jade charms. The jade is roughly carved into the shape of leaves, a lion, corn, a well, a coin symbol, and rounds, rectangles and chips. 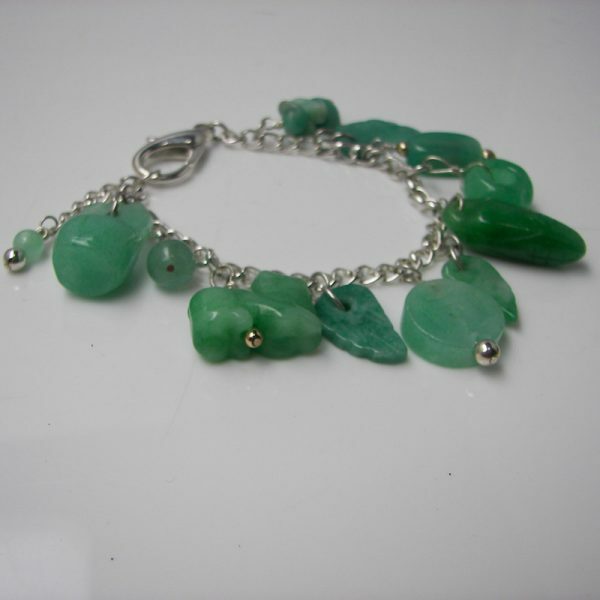 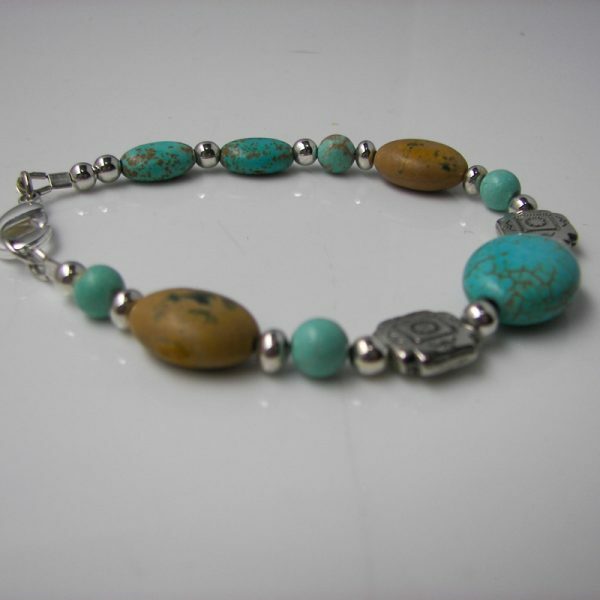 Charms Of The Orient is approximately 7 inches in length and is finished with an over sized, silver lobster claw clasp. 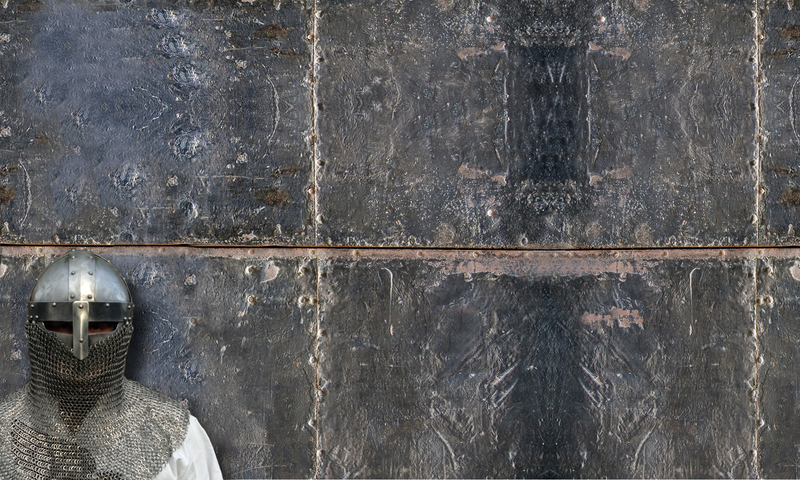 All silver is plate.